Nurse nightmare. The woman who took care of the late Bobbi Kristina Brown has been charged with practicing nursing without a license, the Associated Press reports. The latest development comes nearly 6 months after the star’s death. According to AP, Taiwo Sobamowo is being held at the Gwinnett County jail in Lawrenceville, Georgia. As previously reported, Sobamowo — who took care of Brown at Peachtree Christian Hospice in Duluth last year — was arrested for impersonating a nurse and swiftly fired. The daughter of Bobby Brown, 46, and the late Whitney Houston was under Sobamowo’s care after the aspiring singer was found unconscious and face down in her bathtub on January 31, 2015. She was placed in a medically induced coma and passed away at the age of 22 on July 26, 2015. Houston similarly passed away at the age of 48 after being found in a bathtub at the Beverly Hilton hotel in February 2012, one night before the Grammy Awards. Since Bobbi Kristina’s death, more details about what may have happened to her the day she was found have surfaced. Back in October, her boyfriend, Nick Gordon, was accused of injecting her with a “toxic mixture” before her hospitalization. 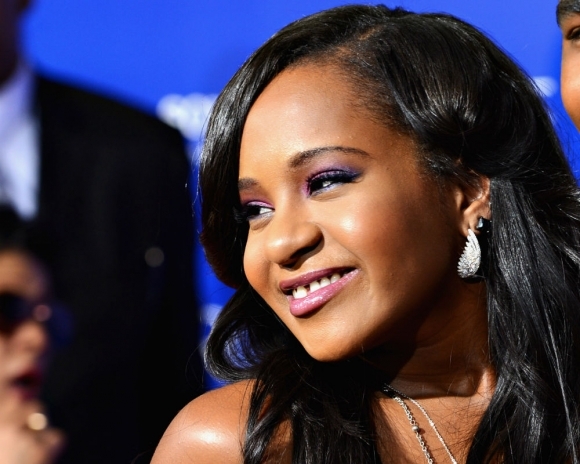 The lawsuit containing the allegation, filed by Bobbi Kristina’s conservator, Bedelia Hargrove, also claimed that Gordon, 20, “battered and bruised” Bobbi Kristina and knocked her tooth out. Gordon, meanwhile, briefly checked into rehab following an emotional TV intervention with Dr. Phil and his mother, Michelle Gordon, in March 2015. Last month, he made headlines when he tweeted a Photoshopped Christmas card with his late girlfriend. Should Bobby Brown sue the hospital? Is it really this easy to impersonate a nurse?